The premier location for fun facts you probably don't need to know! Clockwise and counterclockwise are well established terms now, but before clocks were common objects how was rotational motion described? To describe what we would now call clockwise, the Scottish used the term Sunwise. This relates back to the prior time keeping device, a sundial, and the fact that the Scottish lived in the Northern Hemisphere. In the Northern Hemisphere, the sun appears in the southern sky and tracks from East to West. As a result, the shadow on a horizontal sundial tracks from West to East through the North. 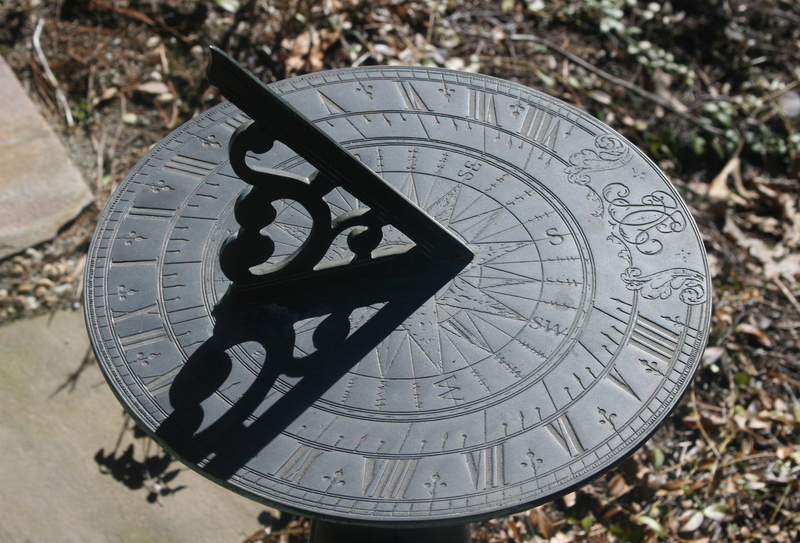 When clocks replaced sundials, they adopted this traditional sense of rotation. The Scottish also described clockwise motion with terms related to Deiseil, derived from the Latin dexter, meaning ‘on the right-hand side.’ This is because clockwise motion around an object keeps the right hand toward it (important if you are carrying a sword in said hand). The Scottish term for counterclockwise was widdershins, related to the German weddersinnes, meaning ‘direction opposite the usual.’ It seems that counterclockwise has again been defined as being the other direction. Enter your email address to follow "Hmm...That's Funny..." and stay up to date with the freshest facts!
" You're a beautiful human being." "This is why I love reading these... because as much as these facts are amusing, thought provoking, captivating, and enchanting, they've gone beyond conversation pieces to learning materials..."
"Are you getting paid for this yet? If not, I'll be the first to ante up..."
Gorillas are knuckle walkers, but the question remains – why? In this episode, we’re look at questions about one more property affected by relativity. Specifically, how does motion affect mass? We’ve seen that relativity can affect simultaneous events, but what other measurements depend on our frame of reference? Let’s start basic: time.